My cooking style also has a fourth consistent characteristic, Laziness. I am lazy as hell and usually just as hungry by the time I get to the kitchen. Therefore, I want food that is delicious, fast and the preparation and eating of which will dirty the least number of dishes and pans that have to be washed later. If I ever write a cookbook it will likely be called “One Pan Wonders” or the like. In the meantime, I love to cook—both fancy and not—and I’d love to share the occasional recipe with you! Without further ado, this week’s nibble of par excellence: White Trash Casserole. This meal will take approximately 10 to 12 minutes to make and requires a 1.5 quart or larger saucepan, a plate, a measuring cup, and a fork, utensil-wise. 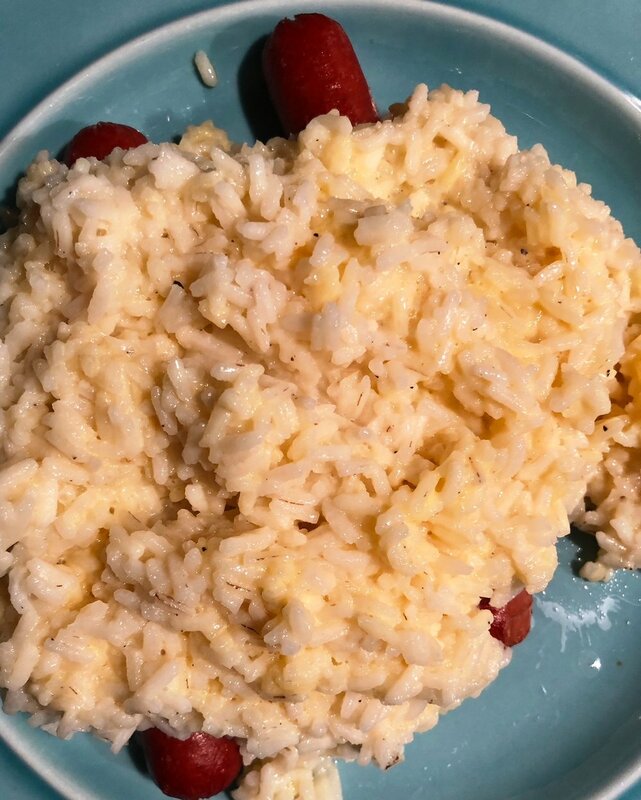 In terms of ingredients, you’ll need a couple of hot dogs, 4 slices of American cheese, a cup of water, and a cup of Minute Rice. Here’s how you make it: Ready, Set, Go! Turn on the closest stove burner to its highest setting—it’s a good idea to match the burner size to your pan size but not mandatory. Fill a measuring cup with water and pour it in your pan then put the pan on the stove. If you like salt and pepper, add them to taste. Also, a little garlic never hurt anyone. Get your hot dogs out of the fridge and put two in the boiling water. Really hungry? Three works. This makes a plateful of food, however, so no need to get too carried away. You’re going to get hungry later and you’ll need more food. Ration accordingly. 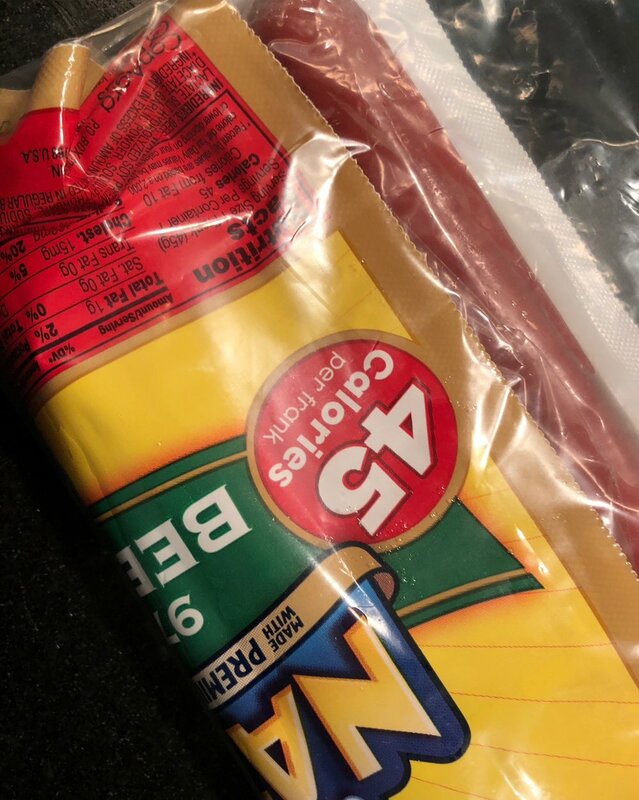 While you’re waiting for the water to boil and your hot dogs are starting to “cook”, grab 4 slices of American cheese and peel the wrappers off. Lay out the slices on your plate so they hang off the edge a bit—you’ll need to grab them quickly in a sec and you don’t want to have to scrape them off the plate! Nobody likes cheese under their fingernails. Now it’s time to refill the measuring cup you used for the water with Minute Rice. Literally, no other kind or brand of rice will do as far as I’m concerned. They all take too much time, require more ingredients, or both. 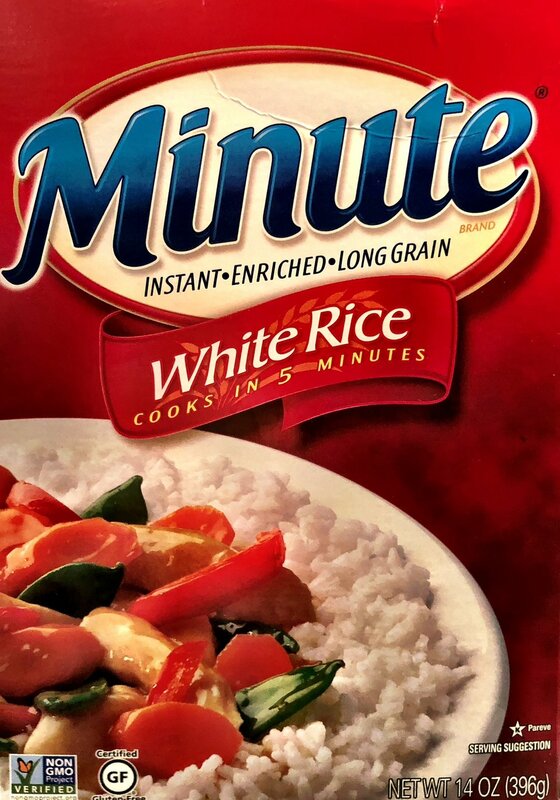 Minute Rice requires rice and water only, and in equal amounts. KISS method, my friends. That’s how you do it. Back to your pan where your water should be starting to boil. If you’re reading this from La Rinconada, Peru, your water’s already been boiling for a bit but that’s okay (I’ll leave relative boiling points at different altitudes for another—far distant—blog). Dump the rice in there and use your fork to get every last kernel (or whatever an individual piece of rice is called) out of the cup. You’re hungry, dammit! You want them all! Now grab your fork and stir in all the rice so it’s all wet—yes, you’ll need to work around the dogs. Don’t worry, you can do this. Turn the burner off, set the pan aside, and put your plate on top of the pan. Set your fork on top of the plate—you don’t want to have to wash a lid or two forks later. Seriously. Set a timer for 5 minutes. Now, if you’ve made the tactical error of pulling out a plastic or paper plate, that won’t work. Instead, use a lid to cover the pan. Using the size that matches the pan is ideal but, again, not mandatory. Any size that will seal it will do. If you don’t have a plate but you DO have a lid that’s totally fine. You can eat off that instead. Again, dish economy is key in all B. Fuller cooking. During the 5 minutes I’m waiting for this masterpiece to come together, I usually rinse the measuring cup off and throw it back in the drawer—already a fourth of the way done with my dishes! Then I open a beer and pace, looking at the timer often enough to add a full hour to the mental prep time. If you’re not a pacer, you can also use this time to add some vegetables if you’d like. From frozen, put about a half cup or so in a bowl with a quarter cup of water and put all of that in the microwave with a napkin on top for about 4 minutes—precise instructions will be on the bag. It is a casserole and I suppose you technically need some veggies to qualify, right? This will require washing a bowl and probably a strainer as well but they’re good for you and add flavor so do it if you can! While we’re waiting, I’m excited to share that you can add practically anything to this dish. That’s right, just about anything at all! Got a drumstick left over from KFC? Strip the chicken and crust off the bone and chuck it right in. Leftover burrito from a couple days ago? Don’t let that sucker go to waste! Scrape the innards out and in they go. Breakfast bacon? Ham? Yep, it all works as long as it’s pre-cooked and you’re just reheating along with the rice and cheese. You can also use any cheese you like, by the way. 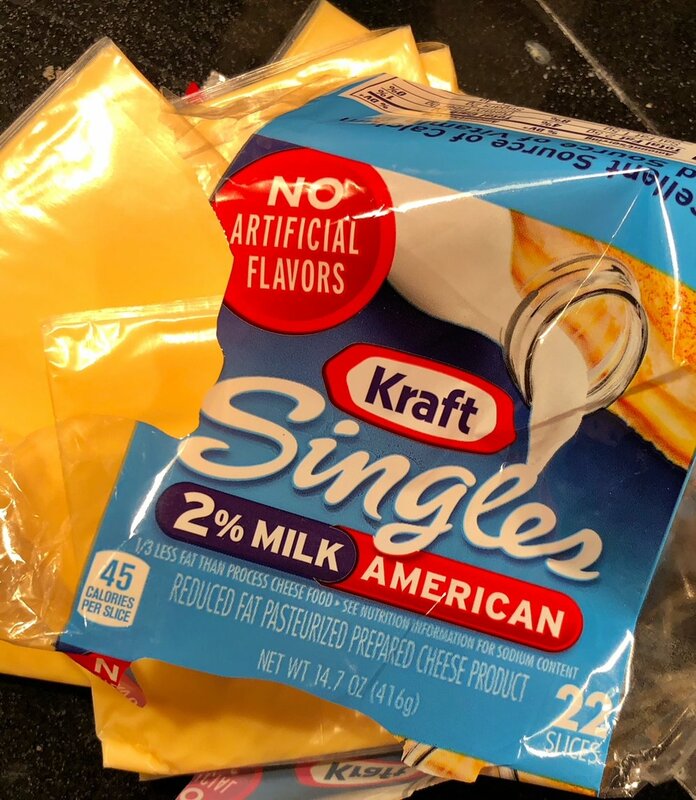 Kraft Singles are the easiest—and the kind we always had in the fridge growing up—but I made this with leftover ham steak, Gruyere, and some asparagus a couple weeks ago. Washed it down with a decent Bordeaux. You can get as fancy as you’d like is what I’m saying. Back to the food at hand: By now your timer should be going off. Take the plate off the pan and set it on the counter. Visible in the pan will be a glob of melted cheese and a bunch of fluffy white rice. Stick your fork down there and get your hot dogs out one at a time and put them on the plate. Take your fork and stir the remainder until the cheese and rice are thoroughly blended. Pour that over your hot dogs and voila! White Trash Casserole! If you’re adding veggies, put them right on top of the rest. Take the pan and fill it with hot water and put it in the sink. You’ll get to that later—or, if you’re lucky, mom will catch that when she gets home. In the meantime, get to your favorite chair and dig in! That’s it for now. Keep your eyes peeled for upcoming Kentucky and Nevada images. Likewise, I did some experimenting with an actual camera over the holidays so you’ll want to check back to see how that worked out. Between now and then, see you on FB and IG! Bon appetit! For as long as I can remember I had an interest in—and a passion for—photography. Growing up in a shall we say, “financially challenged” household, however, pursuing that interest was never an option until more recently. Today, I’m an enthusiast, to say the least. I have published more than 5000 images in the last couple of years alone. I’m not saying they’re all great; they’re not. But I AM saying I’ve been busy. For those who have known me from my jewelry career and my work as a business consultant to the luxury trade, you know that I have never stood in front of anything that isn’t “best of breed”. When I began bfullerfoto a while back, that same philosophy applied. Art is art— it touches you, or it doesn't. The materials it’s produced with, however, MUST be the absolute best. Because I’ve always insisted on using only museum-quality, archival everything, the prices of my work have been on the salty side. Moreover, since I only print five of each image and then destroy the original, each piece is relatively rare. For my “one-offs”, the buyer owns not just the print but the actual image as well—no other photographer in the world works this way. Maybe that’s weird, but I never wanted to be in the poster business. That said, I would like my work to be accessible to a broader audience. To do that, and still offer exceptional quality, I had to eliminate all of the custom options and reduce the size of the finished pieces. BUT, the result is that, for the first time, I can produce enough volume of a small number of images to offer them at a markedly reduced price—UNDER $100! You’ll see the link at the top right of the page on the website. I’m starting with 25 images—print sizes are 24 x 16 for rectangles, 20 x 20 for squares. Each piece is watermarked with the BFULLERFOTO logo AND hand-signed on the reverse. To give you a sense of the quality of these prints, please understand that they are being produced in Germany by a supplier whose biggest customers are museums. Am I honored that they also sell to me? Yes, I am. The message here is that even though you’ll be ordering something less rare, you’ll still be receiving bfullerfoto quality. And I’m very proud of that. I hope you’ll take some time to peruse these images. Whether you are adding to you your bfullerfoto collection or just starting one, I am more than grateful for your support. Fall in love with America. It’s time.